Photographer’s notes: It is an odd aspect to a bike, how some basic changes can alter the style of ride. This rider chose to turn his handlebars back and gain a more upright position – far calmer. My bike has the reverse. The handlebars allow me to stretch out and get a far more aggressive position. That and the super-high seat and low handlebars. This way, an aggressive bike can be calmed – and a lesser bike can be made far more able to assert authority over the other riders. 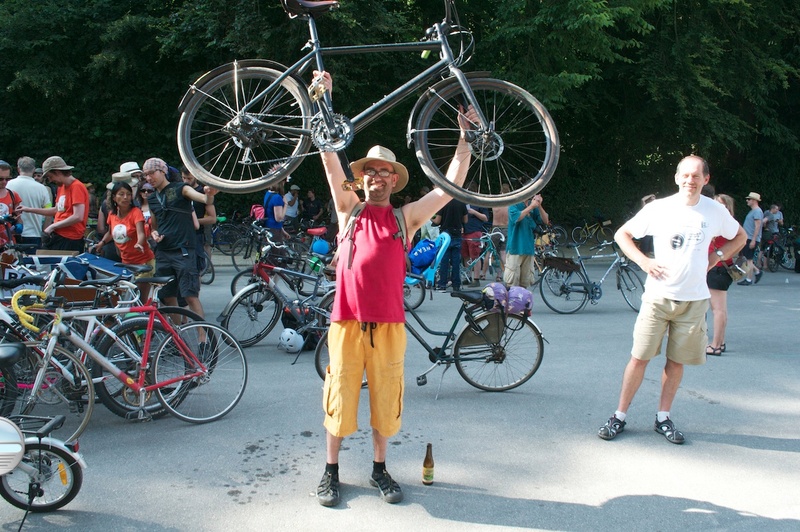 This entry was posted in city bike, commuter, Europe, event, family and tagged 2015, Belgium, Brussels, Cannondale, July. Bookmark the permalink.